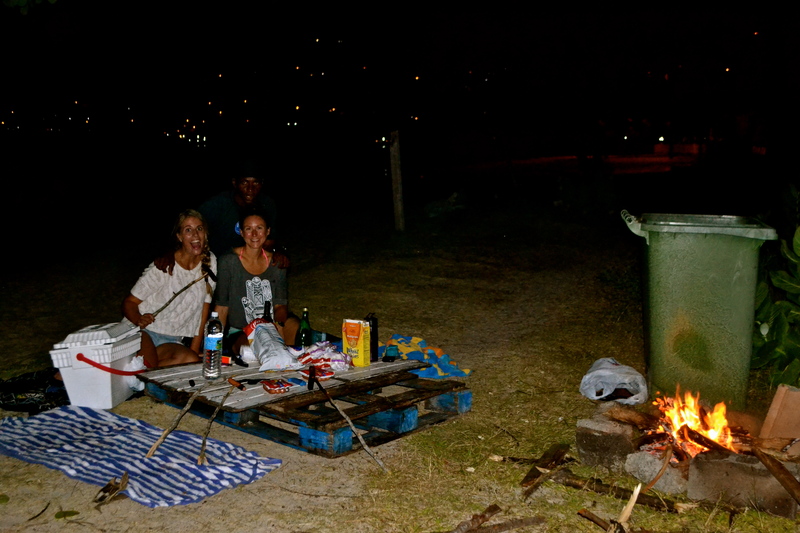 After Lindsay and I made some frieeends during our scuba dive last weekend, we were invited along to have a bonfire on Grand Anse beach as it was the night of the full moon! Before we met Laura and Andre for the bonfire I joined Lindsay’s zumba lesson, which was so much fun (and so exhausting!!). 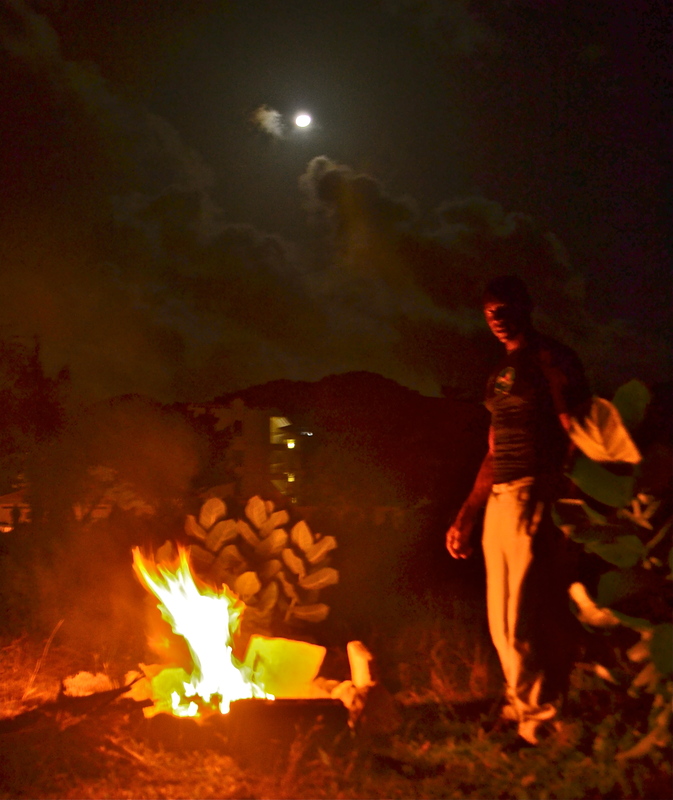 With the full moon in the background and the fire going, the mood was set! Laura and Andre had done an excellent shopping round and bought us all some hot dogs, chips, cookies and chocolates for smores and of course some wine! 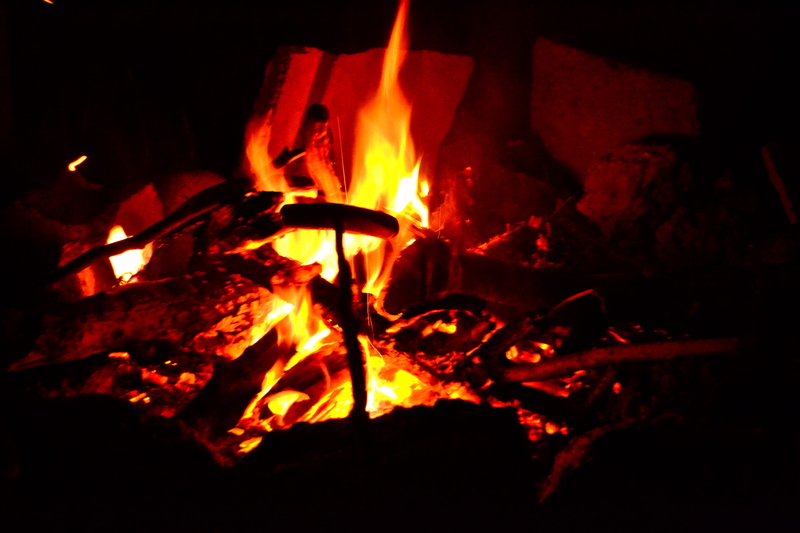 With my excellent nature skills I made us all some excellent sticks to put the hotdogs on *proud*! Check out our cosy little set-up! Haha, can you spot Andre in the background? 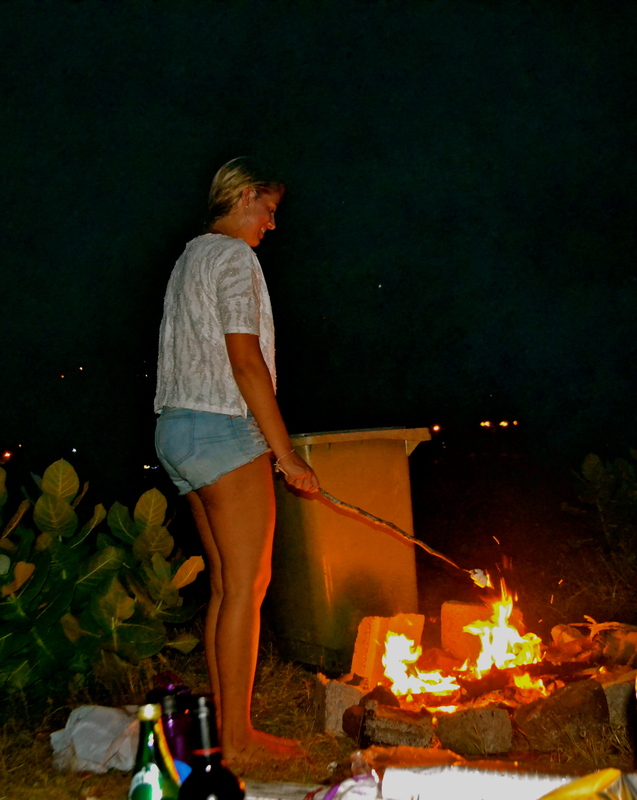 It was an absolutely amazing evening! 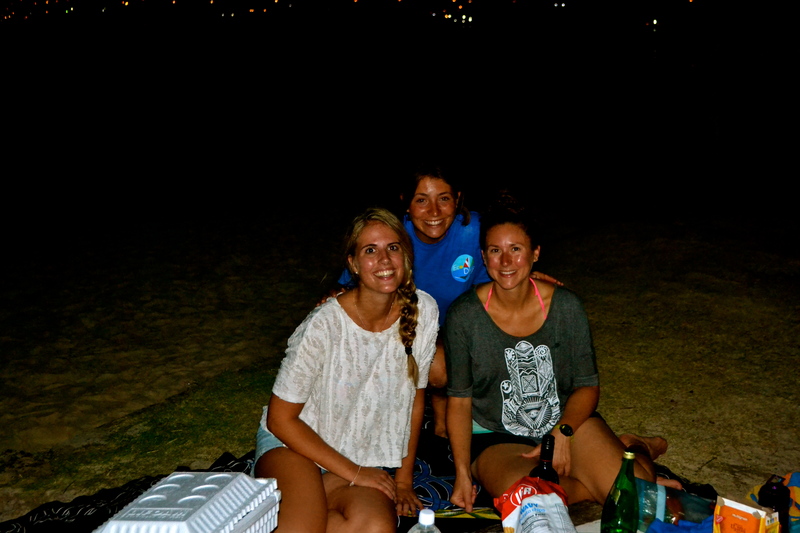 So much fun hanging out with Linsay, Andre and Laura! 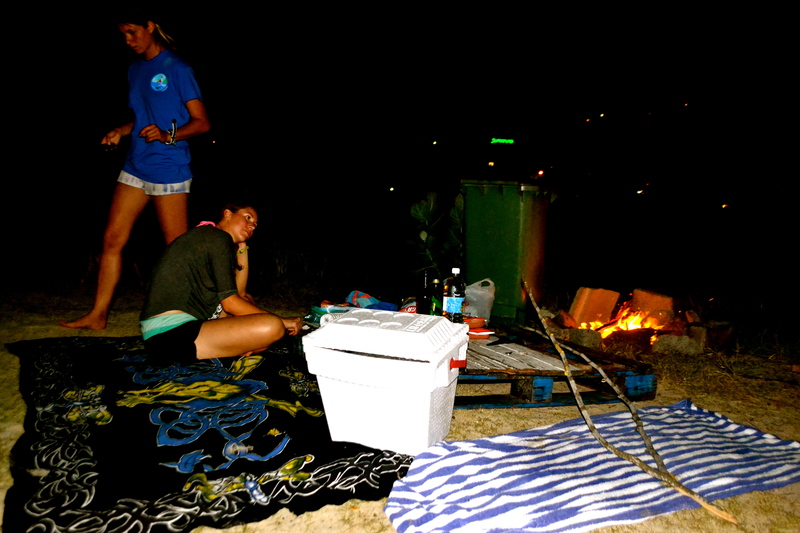 We told ghost stories, had good laughs and had a compulsory midnight swim. Doing things like this really makes me so happy I decided to take a gap year and I feel I’m filling my life with lots of amazing experiences! 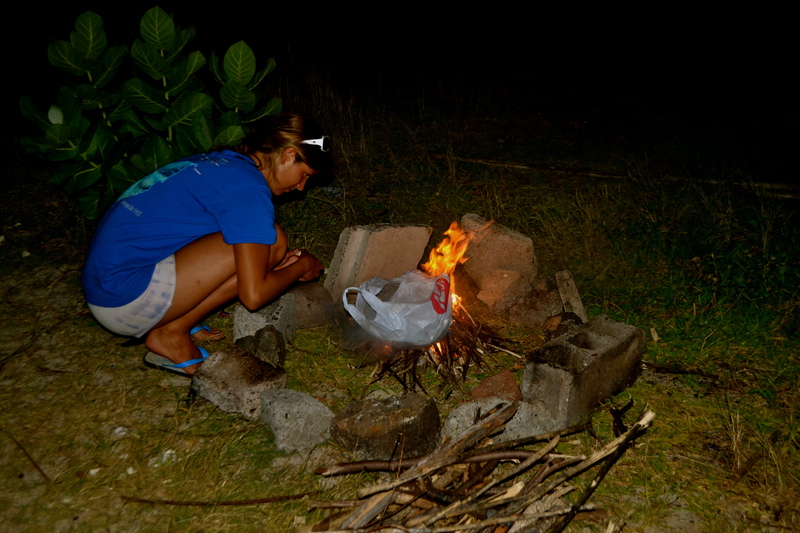 This entry was posted in Grenada, Things to do in Grenada and tagged Beach, Bonfire, Friends, Full moon, Fun, Gap year, Grand Anse, Grenada, Hot dogs, Marshmallows, Smores, Volunteering. Bookmark the permalink. Hehe! Ja livet er ikke så hardt… Men sånn skal det jo også være noen ganger 🙂 Jeg trives i hvertfall veldig og føler jeg får mange interessante opplevelser!